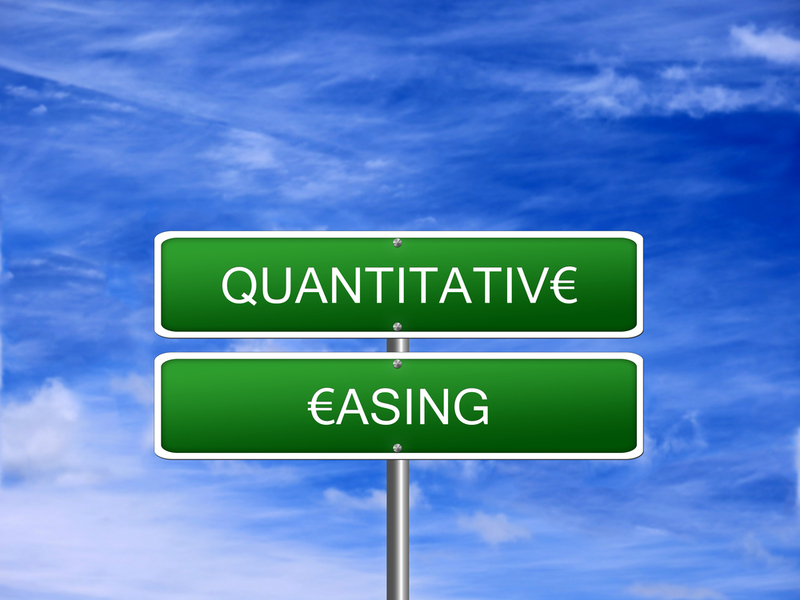 Is Quantitative Easing the Same as Printing Money? Thank you for coming to Athens. After the presentation, there were so many questions that the moderator did not have time for. You answered some for the crowd afterwards that I had never heard anyone ever explain. You said Quantitative Easing was not money printing nor did it really increase the money supply. You also said to the crowd that fiat is not paper money, but anything declared by government including pegs. Could you elaborate on those statements. ANSWER: Quantitative easing is not responsible for increasing the money supply or printing money. It is a swap of bonds for cash so they are not outright printing money. It is a swap transaction. This combined with the idea that paper money is fiat and precious metals are tangible are all seriously wrong. Fiat is the attempt by government to decree the value of money. This is no different from a peg that broke, such as the Swiss/euro peg, or the Bretton Woods attempt to fix gold in terms of dollars. ANY attempt to flat line the value of money by decree is fiat, regardless of whether the instrument is paper or seashells. This idea that Quantitative Easing is printing money is very pre-1971 thinking and is a throwback to Bretton Woods. Such an assumption focuses on the differentiation between debt and money or cash. Pre-1971, you could not borrow against government debt so there was a clear difference between debt and money. The theory that it was less inflationary to borrow than print made sense only when there was a real difference between debt and cash or money. Today, debt and cash are the same. If you trade futures, you deposit cash and to earn some interest you buy TBills, which are deposited and used as collateral. The distinction between debt and cash has vanished. This means that Quantitative Easing does NOT actually stimulate the economy. The giant assumption was that the cash would be spent within the system. But the banks complained and the Fed created the EXCESS RESERVE window which has about $2.5 trillion on which the Fed pays 0.25% interest. They only swapped bonds for the right to deposit cash at 0.25%, so where was the stimulus? Nothing was stimulated and there was no inflation since there was no actual increase in private spending. These theories are very primitive to say the least. Nobody looks at them closely or follows the money to see if they are doing anything what the theory pretends should happen. The ECB bought 25% of the bonds and inflation still turned negative. They have stated that they will increase that to 33%. They never review their actions when something fails to work. All government ever does is move further in the same direction because government employees will NEVER admit a mistake. This is akin to physicians in medieval times who assumed that bleeding a person would heal them because an illness was seen as if it were a poison in the bloodstream. If the patient died, they never assumed the death to be the result of taking too much blood. Instead, they would state that they did not bleed the patient soon enough and that caused their death. Welcome to the plague of thinking among humankind. Why learn new ways as long as you can just accelerate the current failed process? It’s safer because you do not have to admit mistakes that way. This is why we must crash and burn. They will never look at their actions and are incapable of admitting an era. Anyone who challenges the status quo becomes the “fringe” element that should be ignored.